We’re getting there, aren’t we? Bit by bit, inch by inch, the West Ham we all view as the great unpredictables, who don’t know the meaning of the word consistent, are beginning to look the part. It’s one year ago this week that Slaven Bilic got the push with nine points from 11 games and relegation looking a stitched on certainty, such was the belief that the Croatian had lost the plot big time. Manuel Pellegrini is just two points better off at the same stage of the season. But that tells only a small part of the story. We can all see what the boss is trying to do, we can see he wants: attack, possession, a solid team structure, the ability and technique to pass the ball with speed and accuracy. And, largely because of a chronic injury list, he is giving kids a chance. It’s because of this ideology, something like the West Ham way should be, that us fans have stuck with it. After the heartening win over Manchester United, we should have beaten Brighton, who defended with their lives and were gifted a goal when Andriy Yarmolenko was caught daydreaming in possession. We could, maybe should have beaten Spurs with the chances - Yarmolenko again - and but for a cruel injury-time deflection we deserved to beat Leicester with just ten men. Patience was being tested, it wasn’t good enough, but you could see how close we were to the whole thing working. Then a very poor, defence-oriented Burnley arrived, and we destroyed them despite handing them two goals. One when Issa Diop managed two weak defensive headers and the other when Robert Snodgrass found himself marking Chris Wood at a corner. No match that. But the rest was pure West Ham. It was proper entertainment, I am tempted to say, just like the old days. If fans get that, you will keep them on-side. If you look like you care and work your socks off, those fans will be satisfied. Just throw a couple of bright kids into that mix and the place will be rocking. Just for a change I agreed with every word Danny Murphy said on Match of the Day; his praise for Arnie, for Felipe Anderson, for Diangana, was spot on. But, and there’s always a but, stop building everyone up after one fine performance. I have seen people compare Declan Rice with a young Bobby Moore. Someone else insisted Grady Diangana was the best youngster since Paul Gascoigne. That’s all nonsense and does these kids no good at all. Rice is not Moore, Diangana is not the new Gazza, for heavens sake, give them a chance. I actually looked back at Moore‘s statistics, because the comparison with Rice keeps coming up. I am old enough and lucky enough to have been around when Moore made his debut in 1958. He was 17. Rice will be 20 in January and has played 43 first team games. At that stage, Moore had played 138. At 21 he made his England debut and played in all of the World Cup group matches in Chile in 1962. Two years later he became England’s youngest-ever captain. Rice can’t even decide which country he wants to play for, although Martin O’Neill is now saying he expects a decision by the end of the year. Let’s just leave the knee-jerk comparisons out of things. Grady has played six first team games, has flair, skill, pace and some really lovely touches, and is very brave. Let’s just see him develop. He has also just signed a new two-year contract, so at least that stuff is out of the way for now. The Rice situation seems no closer to being resolved. But I feel the club have shot themselves in the foot somewhat by revealing the details of their most recent offer. I have no problems with any media outlet publishing what they have been told, but surely the only reason those figures came into the public domain was get the fans on the club’s side. And they said that if it was rejected, there would be no further discussions until the summer. So the agent has said "no" and we are now getting the boringly predictable long list of top clubs who are willing to sign him. Spurs, Chelsea, Manchester City etc etc, and this will go on now until the end of the season when the club are threatening to trigger their option. Can’t see that helping, they will have a very annoyed, unsettled star youngster by then. And then there is Pablo Zabaleta. I live in City country up here in the frozen north, and ran into an old friend/contact last week who is heavily involved at City. He laughingly told me we were going to lose our right-back at the end of the season. Then the following day all that stuff from a Middle Eastern newspaper was being lifted by everyone. I was told Zaba, who still has a house in the Manchester area, fancies a swansong in Italy, or he may take up the Academy coaching role he turned down with the Champions last season. He is taking his coaching badges and can talk to foreign clubs in January. And he would be interested in a role with us. His influence on our youngsters and the sheer professionalism of the man has been a major boost to the club this season, and we should want to keep him as long as possible. Maybe the club should consider offering a playing/coaching role, and quickly. And then there was the tremendous display from Anderson. I have tried to hold off on the criticism of the Brazilian, who is just the sort of player we should be signing. Without Manu Lanzini and with Dimitri Payet long gone, Anderson can fill the void. He has such obvious skills, touch, vision and talent, if not blinding pace. That may explain why he has only one Brazil cap and he’s 26. But you want him to succeed, don’t you? The relief was obvious from him when he scored those two goals - he could have had three more - and he needs support to build his confidence, not booing and abuse. He admits he has found the pace and strength of the Premier League hard, but Burnley couldn’t live with him. They never got close, unlike Spurs in the league game. They targeted him from the start, crowded him, hit him hard every time they could. I feel he struggles against physical attention, and other clubs may well not be as accommodating as Burnley. The Clarets had decided to kick lumps out of Diangana and Arnie, and you have to wonder how on earth James Tarkowski stayed on the pitch. Referee Roger East missed an obvious penalty and should have shown the Burnley centre back a straight red for that terrible lunge at Diangana. Huddersfield on Saturday may well concentrate more on Anderson after last weekend’s performance. It seems he had a reputation in Italy for being inconsistent. The tough bit now for him is to repeat last weekend’s stunning performance when we try for back-to-back league wins for the first time in almost two years. Maybe it’s time to find that streak of consistency that is always missing. A trip north to a cold stadium and a scrap with relegation candidates is something we don’t normally handle well. A mention, too, for Michail Antonio. He did really well coming on late at Leicester to keep defenders occupied and to battle away. The travelling support gave him a good ovation for that. Against Burnley he set up Chicharito’s goal, and looks to have found a bit of that bullish confidence from a couple of years back. But back to Bobby Moore. Like the rest of you, no doubt, I watched that compelling documentary about the great man on BBC2 on Sunday. 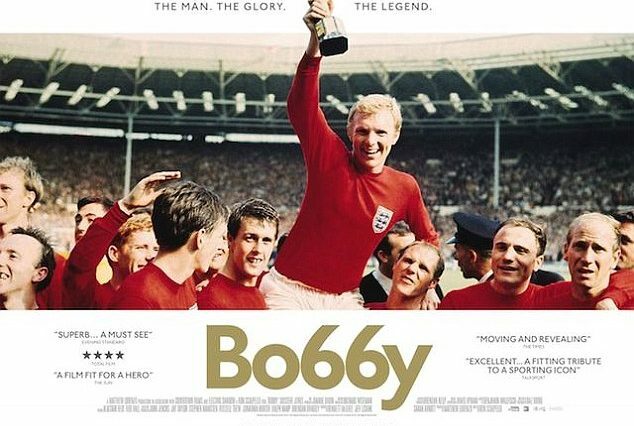 I have been a little surprised by the reaction, because it was two years old and initially broadcast to mark the 50th anniversary of the World Cup Final victory. I had seen it before, but it was well worth a second look. The last time round, I recall, Harry Redknapp got all the headlines for slagging off our club for the way they treated his mate. And rightly so. The missing knighthood came up again, but it should be common knowledge now that there is no provision for posthumous awards in the honours system, it would take the government and royal approval to change the established system. Piers Morgan was in there again with his view, but thankfully he has not reached royal status yet. No-one has ever been awarded a posthumous knighthood - and I can’t see that changing any time soon.